Between packing all your belongings and tying up loose ends, moving house can be stressful. As new home builders in Sydney, we know it’s a huge transition – no matter how excited you are to move into your new home! But with the help of professionals, it doesn’t have to be so painful. We called on the experts at Spacer.com.au and at Service.com.au to compile the ultimate checklist for moving house. Prefer to leave the heavy lifting to the experts? Hire a removalist about a month in advance, especially if you’re planning to move on a weekend. By doing that, you’ll have a better chance of getting the earliest time slot – and that’s the one you want! If another job takes longer than anticipated, you won’t waste time waiting around. On moving day, walk the removalists through your home and point out any fragile boxes or furniture that needs to be disassembled. After the walkthrough, try to stay out of the way. The movers know what they’re doing, and they’ll load the van or truck in a way that makes sense. Chances are, you’ve accumulated a lot of stuff over the years that you no longer use or need. Cut the clutter by selling or donating the things that have been gathering dust, and throwing out unwanted (and unsaleable) possessions. If you’re downsizing or not quite ready to part with your belongings, consider stashing your stuff in a local storage room. Spacer.com.au has hundreds of options to suit all sizes and budgets. Buy strong packing tape and sturdy boxes, and double-check the weight limits before loading them. When you’re packing, protect any fragile items with bubble wrap – it takes a few minutes more, but it’s worth it. Wrap your dinnerware and cookware in butcher’s paper or old newspapers, and label every box clearly. Future you will thank you for it! The movers will be as careful as possible, but hauling boxes from one home to another is rough, so it’s up to you to pack your stuff properly. Moving can be overwhelming, which is why we love this tip from Spacer.com.au. Think toiletries, tea towels, coffee, water, a set of clothes and a first aid kit. When you’re in the process of moving, pay any outstanding bills to avoid accruing late fees. Once you know your move-out date, call your phone, internet, gas, electricity and water company to disconnect those utilities and reconnect them to your new home. While you’re ticking off admin tasks, redirect your mail to your new address or request a mail hold if you’ll be travelling. Then, update your address with your bank, as well as your utility, phone, insurance and superannuation companies. You’ll also need to change the address on your driver’s license and the electoral roll. If you’re renting, you’ll want to get your bond back in full. To do this, you need to leave the home in the same condition you found it. A month out from your move, comb through the house to see if there’s any maintenance that needs to be done before the final property inspection. According to Service.com.au, paint chips are one of the most common problems. Spacer.com.au says to polish scuffs, reattach door handles, and replace broken light bulbs. If the place was furnished, make sure the list of furniture and accessories matches your lease agreement. Most end-of-lease agreements require you to leave the place pristine. The best way to do this is to hire a bond cleaner that guarantees their work. If you don’t have the budget for a cleaner, dedicate a half- or full-day to do a thorough clean. You can clean rooms as the removalist crew empties them, or save it for the day after the move. Moving day is hectic, so keep the kids safe by organising a babysitter or enrolling them in daycare. Service.com.au adds that the noise and pace of the day isn’t ideal for your furry friends, either. Before you hand over the house keys, check every nook and cranny to make sure nothing has been left behind. Then, turn off the power, tighten the taps, and lock the doors and windows. Let the pros do some of the legwork. Service.com.au will connect you with local tradies and service providers. 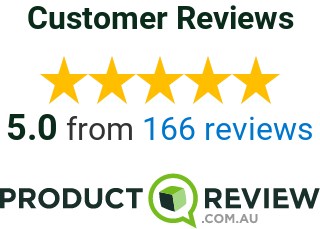 You can compare quotes and read reviews from other Aussies who have used those services. If you’re looking for a place to stash your stuff, or want to earn money from your empty spaces, check out Spacer.com.au. They match people who have a spare storage space to those who need one – and it’s up to 50% cheaper than traditional storage options. The team at Better Built Homes are committed to making your move as seamless as possible, too. Backed by a 5-star Product Review rating, we can help you maximise your space with smart home designs.